A two-week residential summer school tackling the vital issues that shape politics in the modern world with a regional focus. Providing in depth analysis of key countries in regions outside of Western Europe and North America - Africa, China, Latin America, the Middle East and North Africa, and Russia and the Former Soviet Union. Including a daily lecture programme given by world-renowned academics. Giving the opportunity to study at St Antony's College, Oxford University's only college to focus exclusively on international affairs. lively daily discussion groups led by current Oxford University doctoral students. Power, Resources and Political Identity in Russia and the Former Soviet Union. Each seminar has five two-hour meetings per week, and classes will usually contain no more than 14 students. 10 hours of discussion group sessions (10 discussions, each lasting 1 hour). Tutor: Dan Hodgkinson is a Lecturer in African History and Politics at Oxford's Department of International Development. He is also a member of Green Templeton College. His research interests include youth and life histories in Zimbabwe as well as African intellectual history. He focuses on Southern Africa, specifically Zimbabwe, but has a wider interest in East and Central Africa. He has published widely in several peer-reviewed journals, book chapters and has just finished writing a book, entitled Marked Out: Political Elites, Oral History and Zimbabwean Student Activism. He is currently writing a book on student activism and decolonisation. Tutor: Eduardo Posada-Carbó is Professor of the History and Politics of Latin America at the School of Interdisciplinary Area Studies, Oxford, and William Golding Research Fellow at Brasenose College, Oxford. He is also Director of the Oxford University Latin American Centre. His publications include (ed.) Elections Before Democracy. The History of Elections in Europe and Latin America (Palgrave Macmillan, 1996) and La nación soñada: violencia, liberalismo y democracia en Colombia (Grupo Editorial Norma, 2006), as well as articles in the Hispanic American Historical Review, The Historical Journal, Journal of Latin American Studies, Latin American Research Review, Journal of Democracy, Revista de Occidente, and Caravelle. He is the general editor of a five-volume history of Colombia. With Andrew Robertson (City University of New York), he is co-editing the Oxford Handbook of Revolutionary Elections in the Americas, 1800-1910, to be published by Oxford University Press. shifts in basic institutions that govern regional dynamics. Tutor: Fred Lawson is Professor of Government Emeritus at Mills College, USA, Visiting Professor of National Security Affairs at the Naval Postgraduate School, USA, and a Visiting Fellow of St Antony's College, Oxford. He was Fulbright Lecturer in International Relations at the University of Aleppo, Syria, in 1992-93, and Fulbright Lecturer in Political Science at the University of Aden, Yemen in 2001. His publications include: Global Security Watch Syria (Praeger, 2013); Constructuring International Relations in the Arab World (Stanford University Press, 2006); Why Syria Goes to War (Cornell University Press, 1996); and Bahrain: The Modernization of Autocracy (Westview Press, 1989). He is past president of both the Syrian Studies Association and the Society for Gulf Arab Studies. what is China’s unwritten constitution? does the Communist Party govern through the state, alongside it, or instead of it? how does Xi Jinping’s anti-corruption campaign affect Party politics? what are the prospects for liberal political reform? what are the prospects for social and economic reform? will China grow into its foreign policy aspirations, including the One-Belt One-Road Initiative? Tutor: Ewan Smith is the Shaw Foundation Junior Research Fellow at Jesus College, Oxford. He is an Associate at the Bonavero Institute for Human Rights, the Programme for the Foundations of Law and Constitutional Government and the Oxford University China Centre. He read law at Brasenose College and the University of Paris (BA) and at Harvard Law School (LLM). He has previously worked at SOAS University of London, and at Peking, Tsinghua and Renmin Universities in China. He is admitted to practice in New York, where he worked for Debevoise and Plimpton LLP. Before returning to Oxford, he spent ten years at the UK Foreign and Commonwealth Office. His work explores how rules govern powerful institutions in China, with a focus on foreign affairs and comparative public law. This research has been published in journals such as the Law Quarterly Review and China Journal. the influence of Russia on regional political developments. Tutor: Paul Chaisty is Professor of Russian and East European Studies at St Antony's College, Oxford, and Director of the Oxford University International Politics Summer School. His publications include Legislative Politics and Economic Power in Russia (Palgrave Macmillan, 2006); Coalitional Presidentialism in Comparative Perspective: Minority Executives in Multiparty Systems (with Nic Cheeseman and Timothy Power; Oxford University Press, 2018); and articles in journals such as Electoral Studies, Europe-Asia Studies, European Journal of Political Research, Government and Opposition, The Journal of Legislative Studies, Legislative Studies Quarterly, Party Politics, Political Research Quarterly, Political Studies and Post-Soviet Affairs. Those seeking credit at their home institution may request a detailed certificate which lists contact hours (for lectures, seminars and discussion group sessions) and the grade achieved for their written work. Certificates will usually be sent to students' home institutions within a month of the end of the summer school. St Antony's College was founded to be a centre of advanced study and research in the fields of modern international history, philosophy, economics and politics. Today St Antony’s College is the leading graduate college at Oxford University dedicated to international, interdisciplinary and area studies. It houses several regional centres focused on Africa, Asia, Europe, Latin America, Japan, Russia, Eurasia and the Middle East. St Antony’s can boast some of the world’s most revered academics, industrialists and politicians. Students will be accommodated in a single study bedroom. Standard rooms have shared bathroom facilities; en suite rooms have a private shower, hand basin and toilet. Students cannot be accommodated by St Antony's College either prior to or beyond their programme dates. Family members and/or friends who are not enrolled on this summer school cannot be accommodated in college. Students will take meals in the college's dining hall. All meals are self-service with a range of options available. The only exception is the summer school's closing dinner, which is a served set menu meal. Should applicants have any dietary requirements (eg vegetarian, gluten-free) they are required to complete the relevant section on the application form. 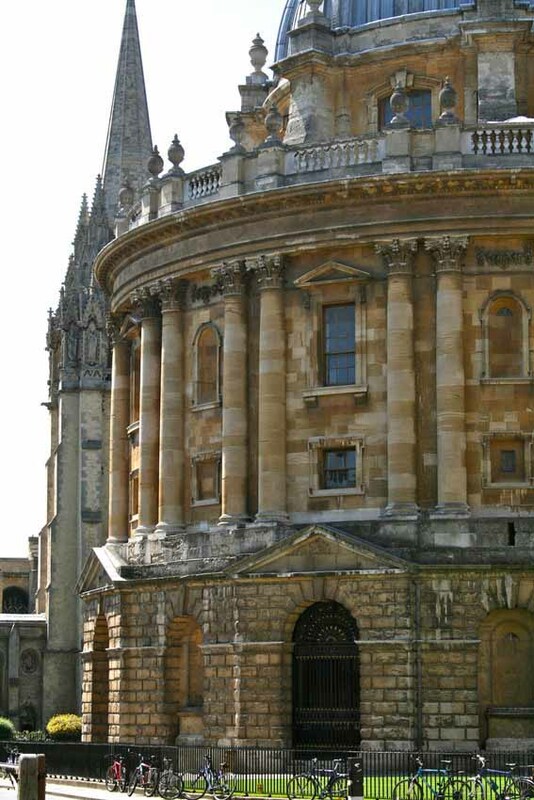 Students will be enrolled as readers at Oxford University's main reference library, the Bodleian. They will also have access to St Antony's College Library, and the Social Science and Continuing Education Libraries. Wireless internet access is available in all bedrooms and some communal spaces of the college. Students will be eligible to use the computers and printers in St Antony's College's computer room. Fees include tuition (1 seminar, the daily lecture programme and discussion groups); access to IT facilities and libraries; accommodation in a standard single room with shared bathroom facilities for the nights of Sunday 4 August to Friday 16 August 2019 inclusive; meals in hall from dinner on Sunday 4 August to breakfast on Saturday 17 August 2019 (except lunch on Saturday and Sunday). Fees include tuition (1 seminar, the daily lecture programme and discussion groups); access to IT facilities and libraries; accommodation in a single en suite room with private shower and toilet for the nights of Sunday 4 August to Friday 16 August 2019 inclusive; meals in hall from dinner on Sunday 4 August to breakfast on Saturday 17 August 2019 (except lunch on Saturday and Sunday). If you are a non-EEA student you will receive a letter by post confirming your enrolment and course details which may be used to support your application for a short-term study visa: this letter will be sent by post (see "Level and demands", below). If you have not heard from OUDCE by 8 May 2019, you should assume that the course and your seminars will be running; there is no need to contact us to confirm. You may wish to delay finalising your travel arrangements until after this date. attend a daily discussion group on the topic of the day's lecture moderated by a senior research student from Oxford University. Tutors will monitor students’ contribution to class discussions. Students are expected to submit an assignment of 2,000 words in length for assessment. A brief statement of purpose (350-400 words) detailing your academic reasons for wishing to attend the summer school. This should include what you hope to get out of the programme, and what you are likely to contribute to the intellectual life of the summer school. This may include details of politics, international relations or political science courses you have previously taken, or the relevance of the summer school to your present course of study or professional development. It is essential that you clearly state your reasons for wishing to enrol on a specific seminar. A letter of recommendation, ideally from a person who knows your academic work, though in the case of those no longer engaged in courses of academic study, recommendations from other sources (eg your employer or head teacher) will be accepted. A reference from a family member is not acceptable. Please note that the letter of recommendation must refer specifically to your application to the Oxford University International Politics Summer School. You will receive an email from ipintpol@conted.ox.ac.uk confirming receipt of your application materials, and informing you when your application will be reviewed by the Programme Director. There is a limited number of places available on every seminar, and in assigning successful applicants to classes the Programme Director will pay particular attention to applicants' personal statements. Applicants will normally be notified of the Programme Director's decision by email from ipintpol@conted.ox.ac.uk within 14 days of their application having been received. In July 2019 - detailed seminar information, giving a session-by-session breakdown of topics to be covered and required readings (students will receive this information direct from their tutor). *Successful applicants who accept their offer of a place from February 2019 onwards will receive this information on enrolment. **Successful applicants who accept their offer of a place from April 2019 onwards will receive this information on enrolment. undertake approximately 80 hours of private study during the programme (elements of private study will include: reading and other preparation between seminar meetings and discussion sessions, work in libraries, writing a paper, etc). The aim of Oxford University Department for Continuing Education (OUDCE) is to treat all students equally and welcomes applications from people with disabilities. Individuals' needs are taken into account as far as possible, providing reasonable adaptations and assistance within the resources available. We ask that people let us know of any disability or special need (confidentially if required) so that we can help them participate as fully as possible. When applying for OUDCE's college-based summer schools, prospective students with mobility difficulties or visual or hearing impairments may want to make preliminary enquiries to the Programme Administrator, as the age and layout of these colleges often makes them user-unfriendly (although adaptations are often possible). Oxford, as an ancient city, tends to be difficult to navigate for people with disabilities. The number of very old buildings, designed in an age less sensitive to issues of disability, makes access to much of the city centre difficult. However, OUDCE will do as much as it is able to make study with the department possible. Applicants should contact us if they will have problems gaining access to a bedroom or a teaching room that is located on upper or basement floors. This is an intensive programme of study taught to an informed international audience. Applicants should be confident that they are academically and linguistically prepared for such a programme. senior undergraduates who have completed two years of a full-time university degree course in politics, history, law, international relations or related social science subjects.